Pep Guardiola was left in awe of the level of detail Marcelo Bielsa had on his Barcelona side while the Leeds boss was coach of Athletic Bilbao, it has emerged. The Argentinian presented a workshop into the extraordinary detailed analysis his staff performs on each and every opponent during a hastily-arranged press conference on Wednesday, as the Leeds boss was forced to defend himself against the hysteria of ‘spygate’. While every top club these days goes into detailed match analysis of their opponents, few would probably match the obsessive levels Bielsa goes to – and even his approach left the man regarded as the best in the business, Guardiola, stunned following the 2012 Copa del Rey final between his Barcelona side and Athletic. Bielsa’s Athletic Bilbao lost that final, beaten 3-0 by three goals inside the first 25 minutes, but after full-time the Argentinian gave Guardiola the opportunity to sift through the stack of preparation done by Bilbao’s analytical staff. 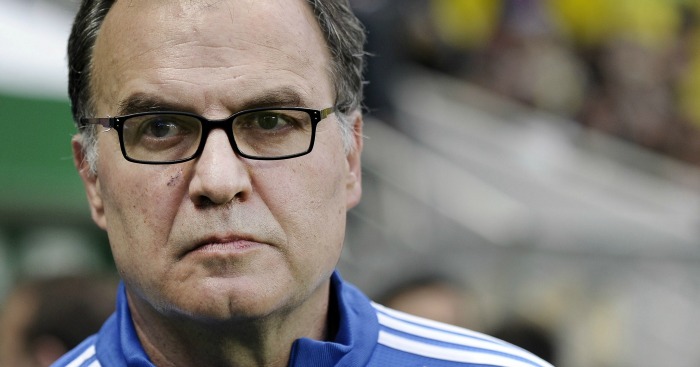 “When I was Bilbao coach, we played the final against Barcelona, who won 3-0,” Bielsa said. “They were generous with us because after the third goal they stopped playing. I was very sad to lose this game. “When the game finished I sent to Guardiola this analysis as a gift expressing my admiration for him. He told me ‘you know more about Barcelona than me!’ but it was useless because they scored three goals against us. It’s little wonder City boss Guardiola and Tottenham manager Mauricio Pochettino both regard the Leeds manager in such high esteem. The post Bielsa recalls time Guardiola was shocked by level of Barcelona analysis appeared first on teamtalk.com.